This is Oh, the Places You'll Never Go - the ultimate hilarious, cynical, but absolutely realistic view of a college graduate's future. And what he or she can or can't do about it. "This commencement address will never be given, because graduation speakers are supposed to offer encouragement and inspiration. That's not what you need. You need a warning." So begins Carl Hiaasen's attempt to prepare young men and women for their future. And who better to warn them about their precarious paths forward than Carl Hiaasen? Cuervo is a pampered Nicaraguan moneyman, funding a guerrilla war from his cushy Miami penthouse. Sixto is his hulking, pistol-packing attendant, whose job satisfaction is on the wane. When an aging mobster enters their lives with a promise to help the rebel cause - with a planeload of chickens originally intended for voodoo sacrifice - a tense situation turns combustible. From the wickedly funny mind of Carl Hiaasen comes "The Edible Exile", a raucous story of sleazeball nihilists, lovable thugs, and jungle-weary freedom fighters who collide in a battle of wills, ego, and the almighty dollar. Originally drawn to the game by his father, Carl Hiaasen wisely quit golfing in 1973. But some ambitions refuse to die, and as the years - and memories of shanked 7-irons - faded, it dawned on Carl that there might be one thing in life he could do better in middle age than he could as a youth. So gradually he ventured back to the dreaded driving range, this time as the father of a five-year-old son -and also as a grandfather. Not a Bogie but a Birdie ! 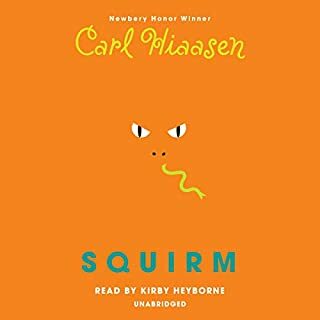 If you think the wildest, wackiest stories that Carl Hiaasen can tell have all made it into his hilarious, best-selling novels, think again. 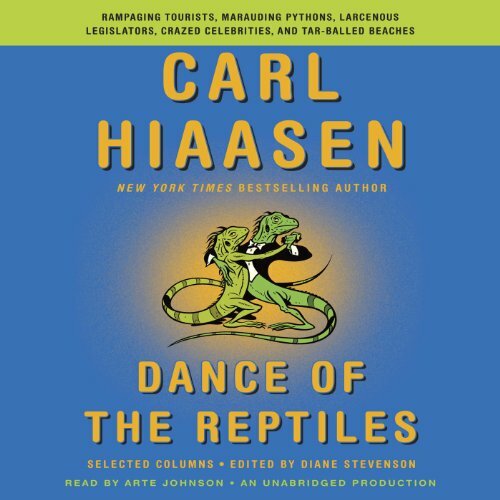 Dance of the Reptiles collects the best of Hiaasen's Miami Herald columns, which lay bare the stories - large and small - that demonstrate anew that truth is far stranger than fiction. 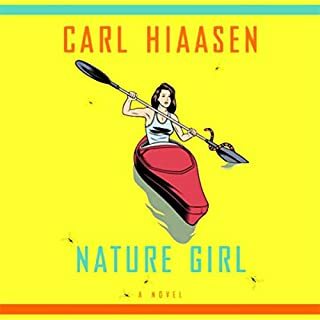 Hiaasen offers his commentary - indignant, disbelieving, sometimes righteously angry, and frequently hilarious - on burning issues like animal welfare, polluted rivers, and the broken criminal justice system as well as the Deepwater Horizon oil spill, Bernie Madoff's trial, and the shenanigans of the recent presidential elections. 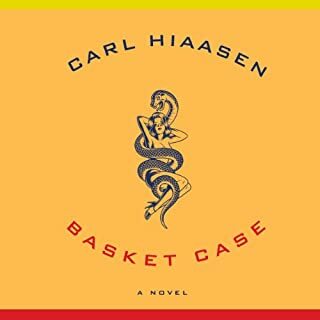 Whether or not you have read Carl Hiaasen before, you are in for a wild ride. I've read pretty much all of Carl Haaasen's novels but wasn't sure how I'd like a book containing his newspaper editorials. Wow, was I surprised. This book is brilliant. It has everything from humor to political shenanigans. Arte Johnson is masterful as the reader. Should be required reading for all politicians. Would you consider the audio edition of Dance of the Reptiles to be better than the print version? I loved this book and the narration was spot-on. 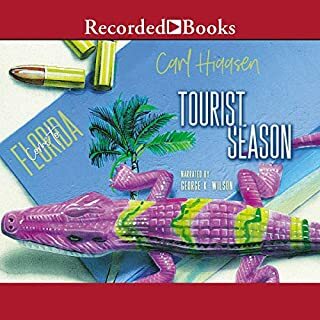 I felt the Carl Hiaasen got a little preachy in parts but overlooking that it was a great listen. 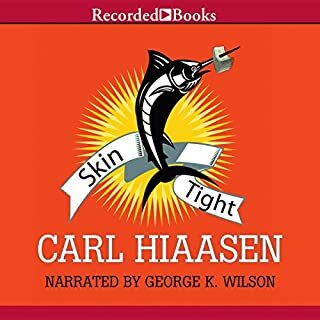 Would you try another book from Carl Hiaasen and Diane Stevenson (editor) and/or Arte Johnson? 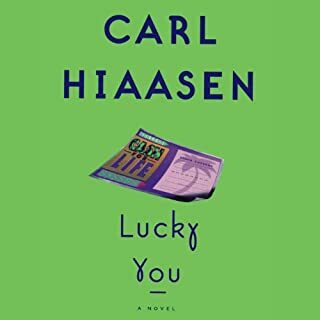 Carl Hiaasen novels are more enjoyable than this collection of true but distressing tales. What could Carl Hiaasen and Diane Stevenson (editor) have done to make this a more enjoyable book for you? The humor in Carl Hiaasen novels helps a great deal. Do you think Dance of the Reptiles needs a follow-up book? Why or why not? No, no follow ups, please. I love carl Hiaasens novels. This book is a collection of his newspaper columns. If you are not a Floridian a lot of it will go over your head. But if you are familiar with Florida polliticks I am sure you will enjoy it . No real story or thread to it. I was hoping for more Hiaasen humor and hijinks. I've read all of Carl Hiaasen's novel, and find them hilarious. What was most disappointing about Carl Hiaasen and Diane Stevenson (editor) ’s story? This book is nothing but political stories from Hiassen's extremely liberal point of view. What didn’t you like about Arte Johnson’s performance? The narration seemed unrehearsed. There was no natural flow. I was disappointed. I thought that the book would contain stories about crazy criminal acts and public servants doing unscrupulous deeds. No...90% liberal politics mostly aimed towards Bush, Republicans, the NRA. I'll still read his novels. He's a great writer, and they make me laugh. I will steer away from his other 2 collections of essays. I was going to call this review a History of Today. It is so very relevant to 2017 and the American political landscape that I kept being amused by the irony. The author cares about creation and the ecology of Florida's inland as well as the popular coastal vacation areas. He also cares about the economy and the people who retire to the state, thinking it will be a good place to live out the rest of their lives in warmth and comfort. Hiaasen is not writing about 2017, however, or all of American politics -- his columns from the news in Florida several years ago ironically fit todasy's climate. And, they are funny in a sarcastic way. Not being from the sunshine state I appreciated this insider's view of FL and its development over time. Incidentally, I read the book right before Hurricanes Harvey, Irma, Jose asnd Maria hit the Gulf Coast and Southern FL this year. His words seemed almost prophetic. I stopped the book halfway through. while I've found several of Carl's books entertaining reads, I would not call any of them humorous. This book is no different. I certainly agree that we need to protect and nurture our environment, I don't think that hyperbole and proclaiming personal opinions as if they are facts is the way to accomplish anything and it certainly isn't entertaining. Way old stuff and not a typical Hiaasen anything that I'm used to reading by him. I realize this is a compilation, but still ... disappointed. What disappointed you about Dance of the Reptiles? They made a lot of wild accusations with just enough facts to bring up the subjects and then used their own mostly incorrect bias assumptions as if they were facts. Instead of fairly covering the issue and people they used their extreme left wing bias as if were facts. According to them the left is always correct and the right is always wrong. It is my opinion that's what's wrong with our political government now. I think we should do away with all political parties and vote on the candidates for their honestly and ambitions. Who would you have cast as narrator instead of Arte Johnson? He just presented the information that was given him. I have no opinion one way of the other. I purchased the book expecting I would learn from the information within a fair and honest coverage of its subjects and people. Many books seem to be able to do so but I found this book to be unfair and unbalanced. It only plays to the left extreme. Why do we support authors such as these who seems unable to fairly present the subjects and politicians. presenting the facts whether good or bad in a honestly and accurate way.